For each of us, different passages in Scripture resonate in different ways. Standing on the red carpet in Los Angeles for the premiere of his latest movie, one Hollywood producer clings to an Old Testament passage. 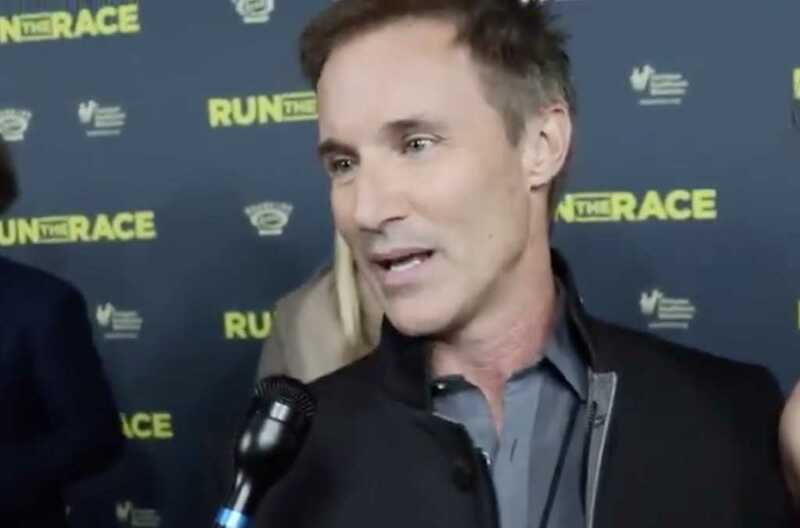 “Run the Race” producer Darren Moorman wore a key-shaped necklace to his film’s star-studded premiere Monday night at the Egyptian Theatre on Hollywood Boulevard. The pendant reminds him of God’s hand in his success. During the @RunTheRaceMovie premiere Monday night, I asked Hollywood producer @DarrenMoorman about the meaning behind his 🗝️ necklace. The “key of David” is learning to hear and discern God’s will for our lives. For the “Run the Race” producer, the “key of David” has been a “symbolic” reminder to keep God at the center of the successes he’s had in the entertainment industry. “Run the Race” tells the story of two brothers, played by actors Tanner Stine and Evan Hofer, one of whom clings to faith in Jesus while the other struggles to believe in God. The two high schoolers learn to lean on each other after their mother’s tragic death and their alcoholic father’s abandonment. The movie, executive produced by former NFL star Tim Tebow and his brother Robby, premieres in theaters nationwide Friday, Feb. 22.